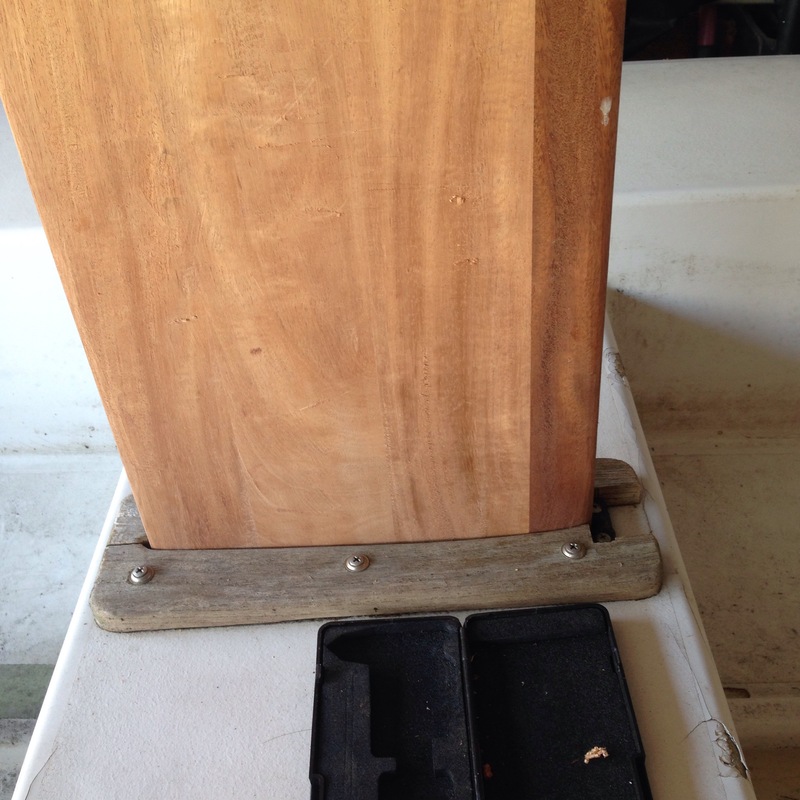 The Chrysler Dagger 14 sailboat I recently bought as a project was missing the centerboard. 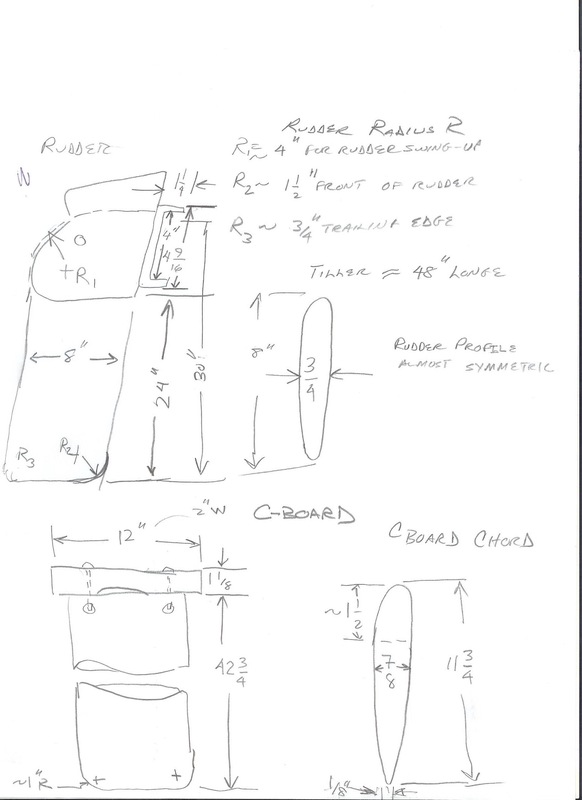 I contacted a guy online through a Chrysler sailboat forum and he sent me pictures and a drawing of his centerboard. 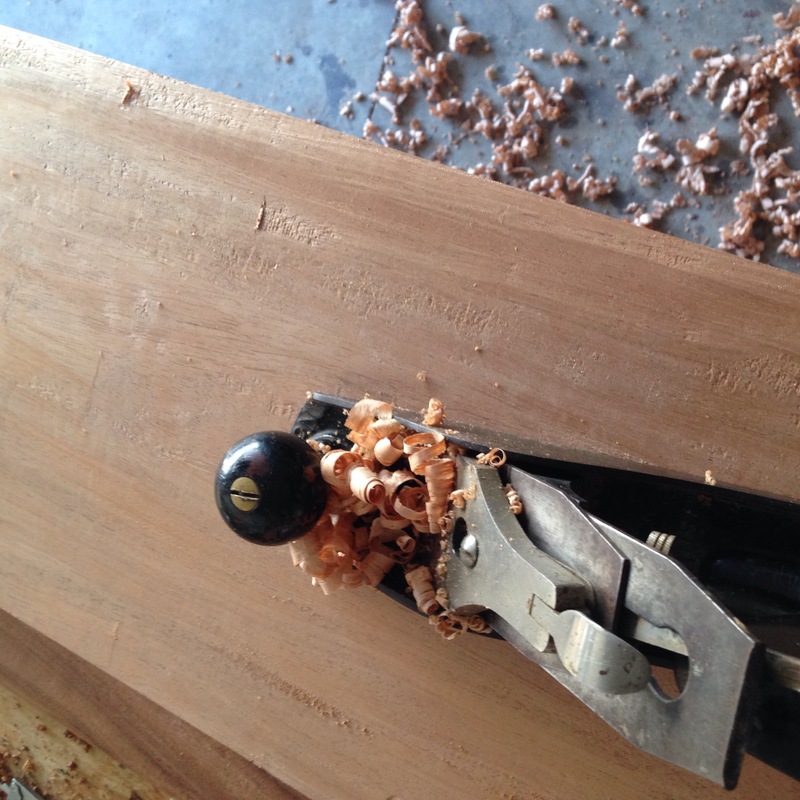 A friend had recently given us some scraps of mahogany so we glued some pieces to make the board and then began hand shaping it. 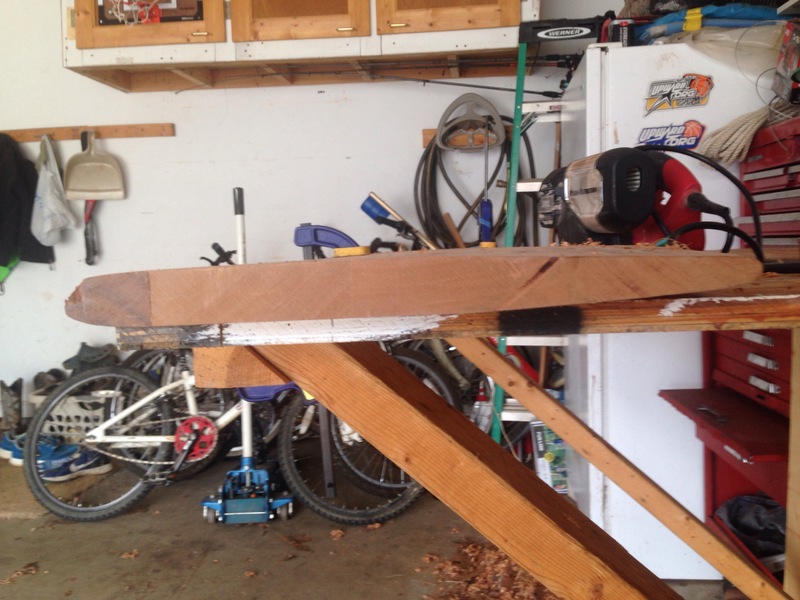 Once we got the basic shape down based on tracing the hole for the centerboard. I just keep fitting it in the hole and marking with a pencil where it is rubbing and then shave with the hand plane and repeat the process.